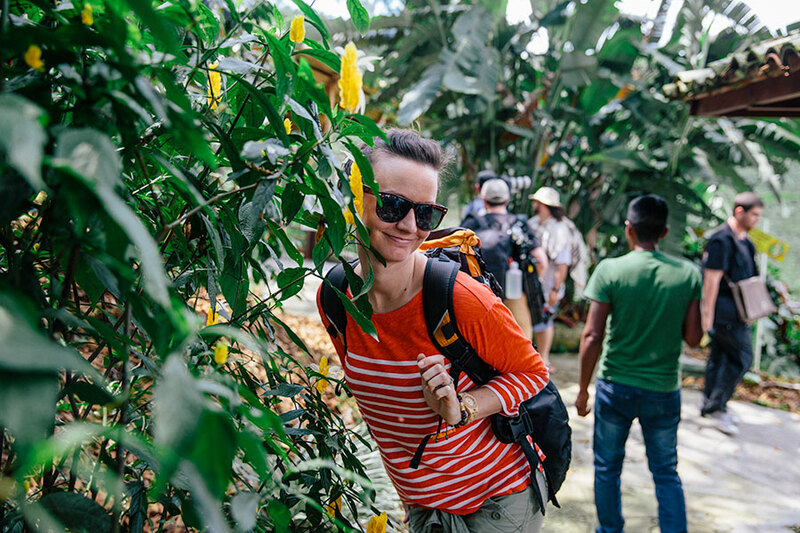 While we are in the process of editing photos and videos I thought it would be fun to share a few ‘tourist’ posts from our time in Colombia. 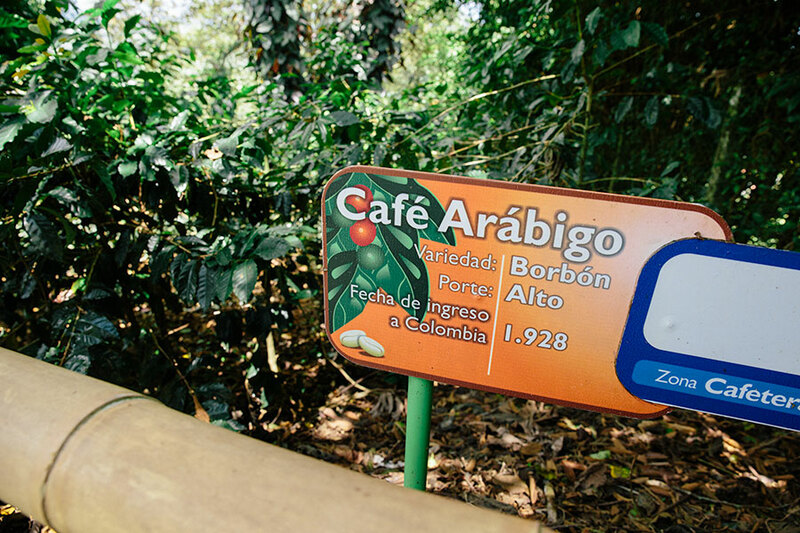 One ‘touristy’ destination that we visited was the National Coffee Park which is located in Montenegro, Colombia. 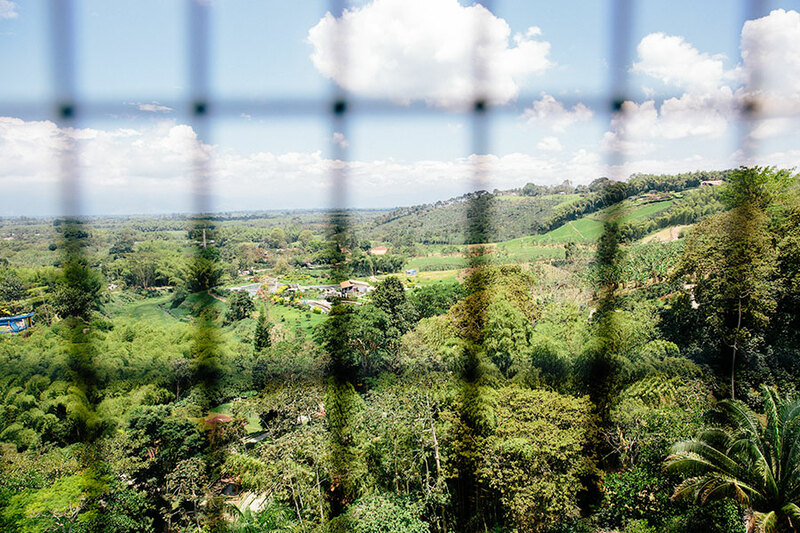 This area of the country is known for its beautiful coffee plantations and, of course, the world famous Colombian coffee that they produce. 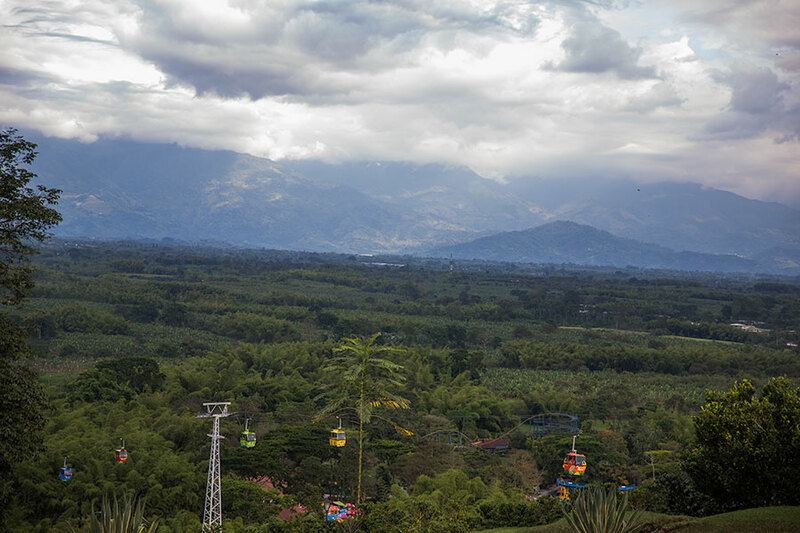 These plantations are located in breathtaking valleys nestled between Colombia’s mountain ranges. 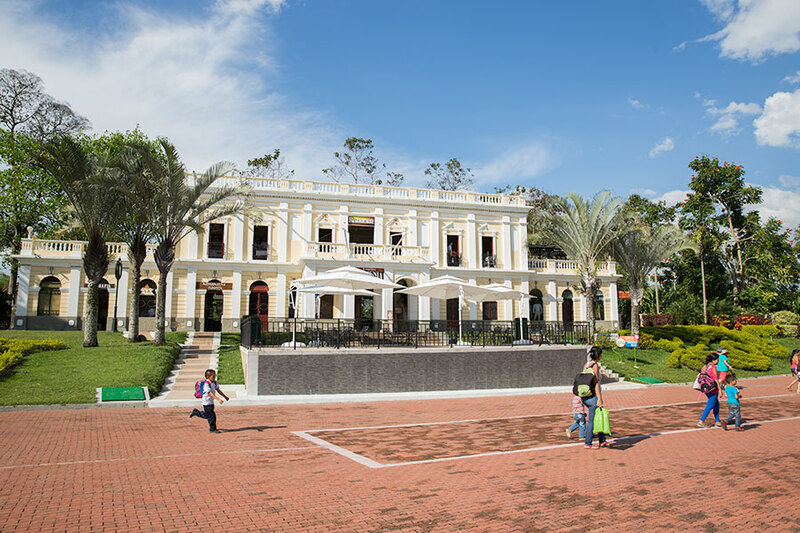 The park is dedicated to educating the public about the coffee farming process, teaching the history of coffee in Colombia, and creating loads of family fun in their theme park. 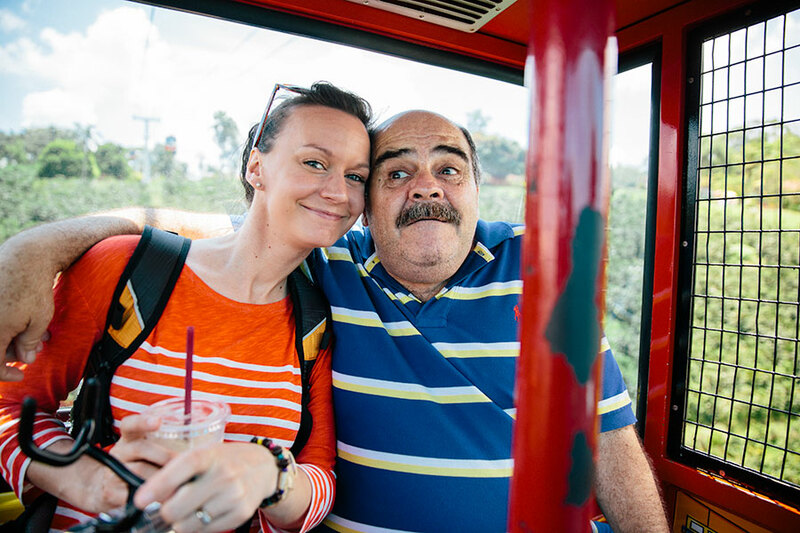 Yes, I said theme park – as in they have roller coasters with a coffee theme. Amazing, right? 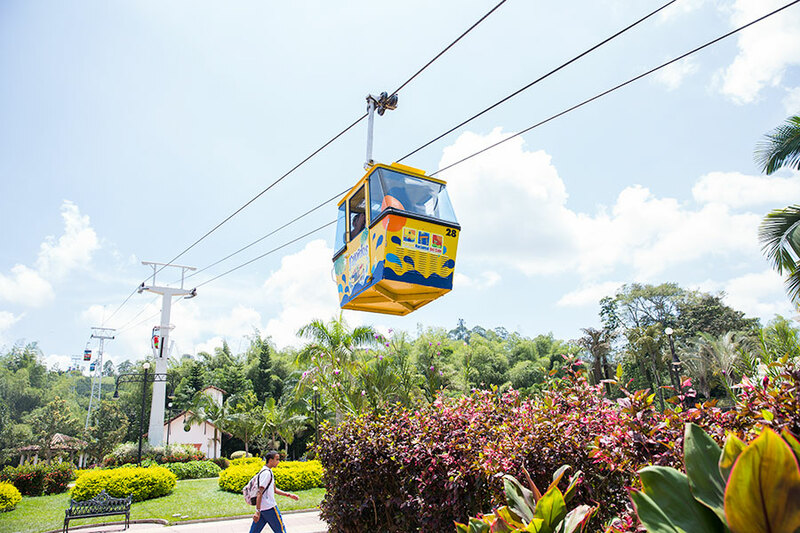 We didn’t have a chance to get over to the theme park, but many of the Redeeming Grounds farmers spent the afternoon riding rides with their children and said it was a lot of fun! 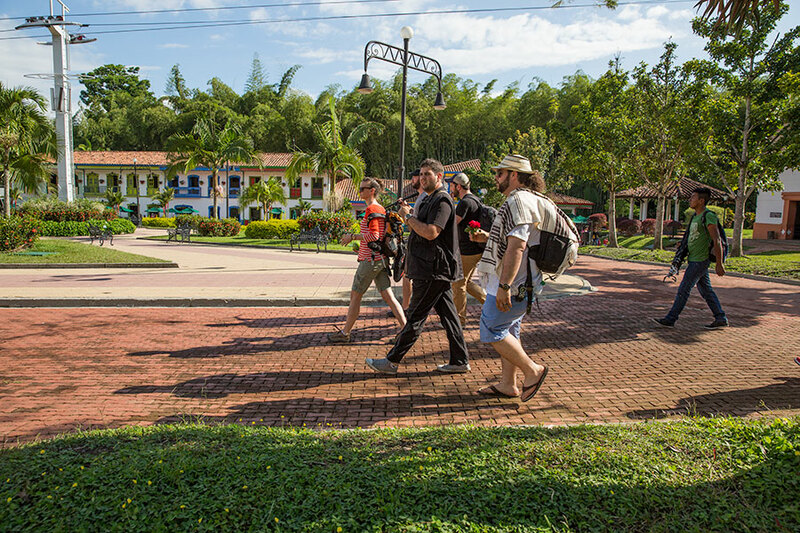 We spent our time at the park viewing the coffee and historical exhibits. 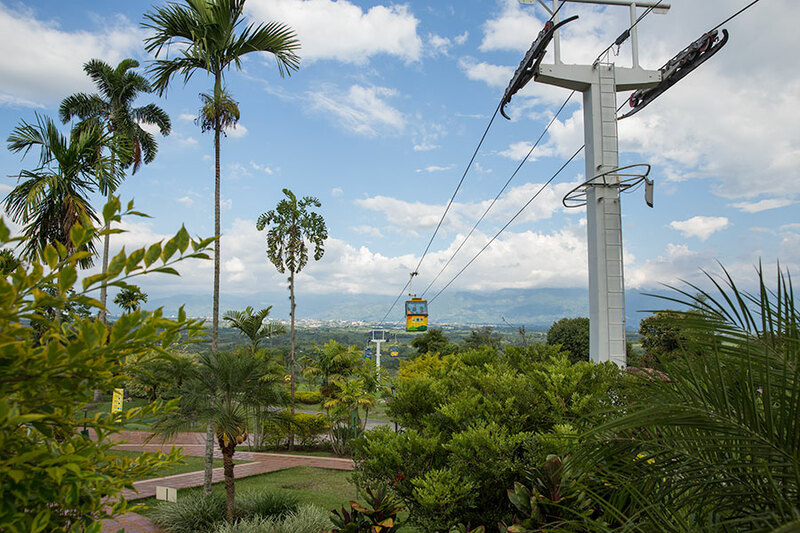 The path begins at the top of the mountain by riding from the top of the mountains into the coffee fields via gondolas. The gondolas reminded me of the ones that Dave and I rode while in Bern, Switzerland over the Alps a few years back – and what do you know, I found a “Made in Bern” plaque on the side of our gondola. I love when worlds collide. 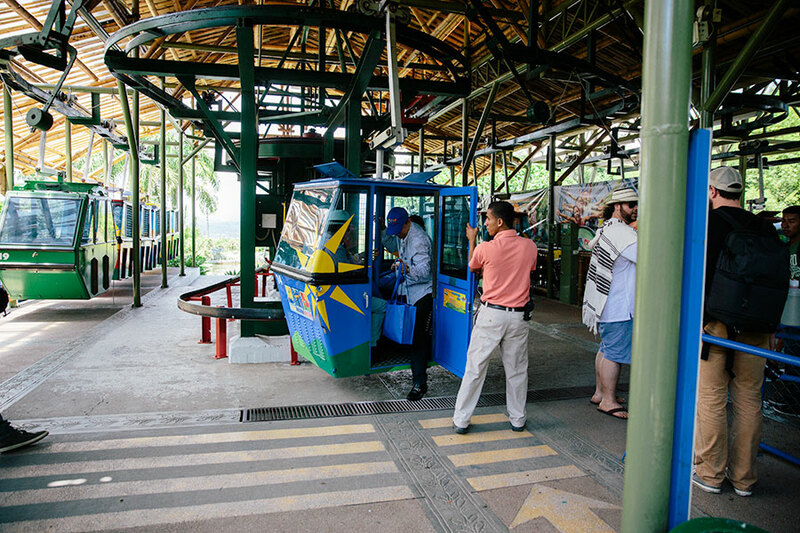 We got off of the gondolas in the historic district of the park.This area held a replica of a traditional Colombian town. Don’t you love that traditional architecture? 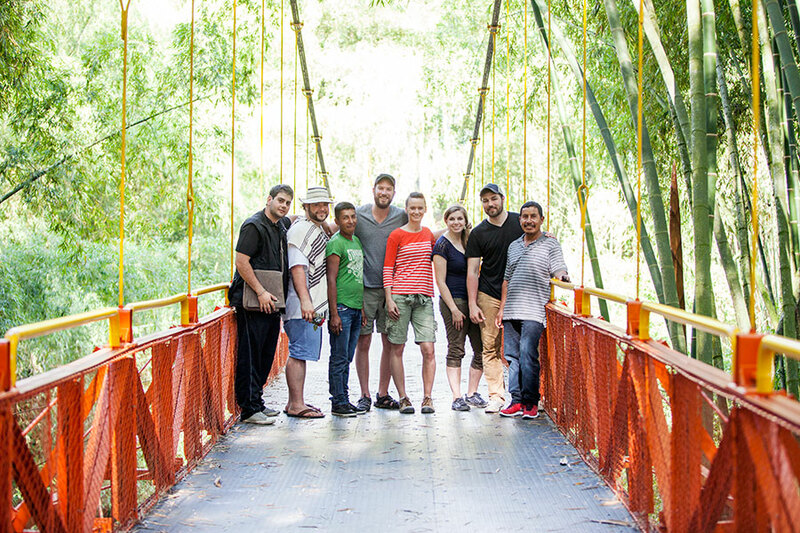 Next, we trekked over to their working coffee farm to see the different types of coffee plants and the many steps of the coffee farming process. 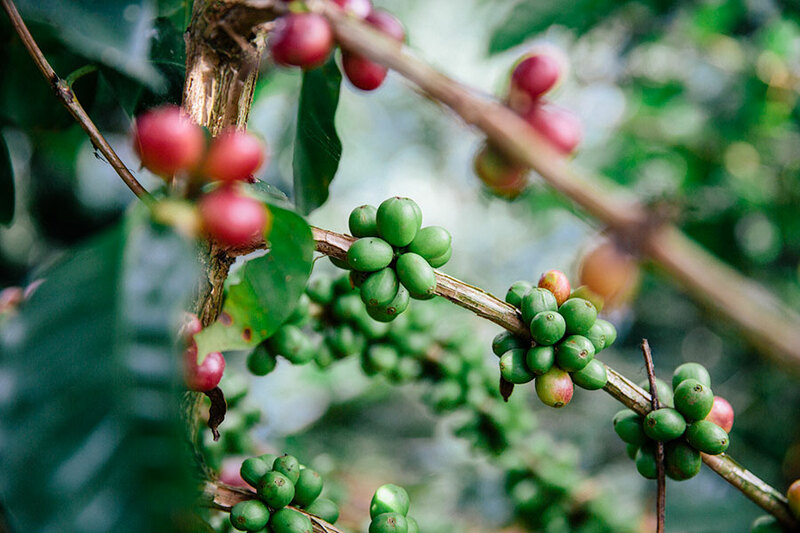 It was amazing to see how many different steps are required to take a coffee bean from berry on a tree to a ground in my cup – but you will hear more about that later. Along the way we found a couple great ‘tourist-photo-opps’. 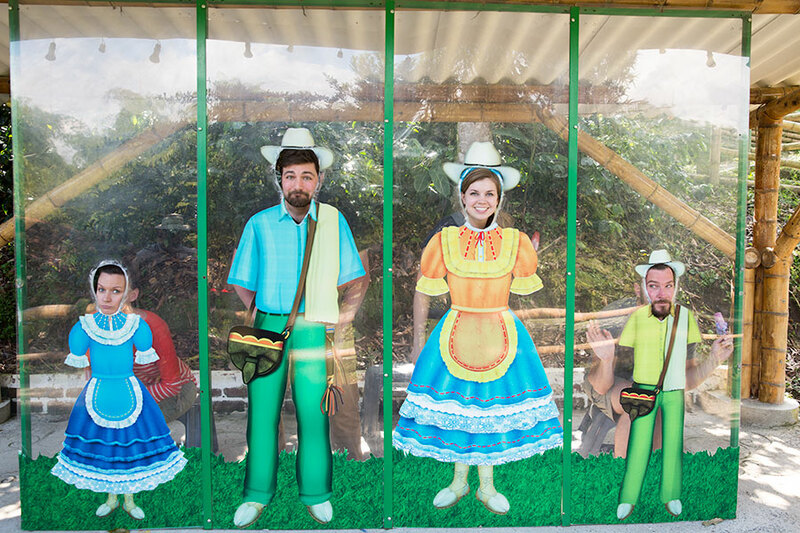 And I will leave you with that gem of a tourist photo. Apparently I missed the memo about what face we were making?? Thanks guys. Really though, how did you all know to make that same hilarious face? 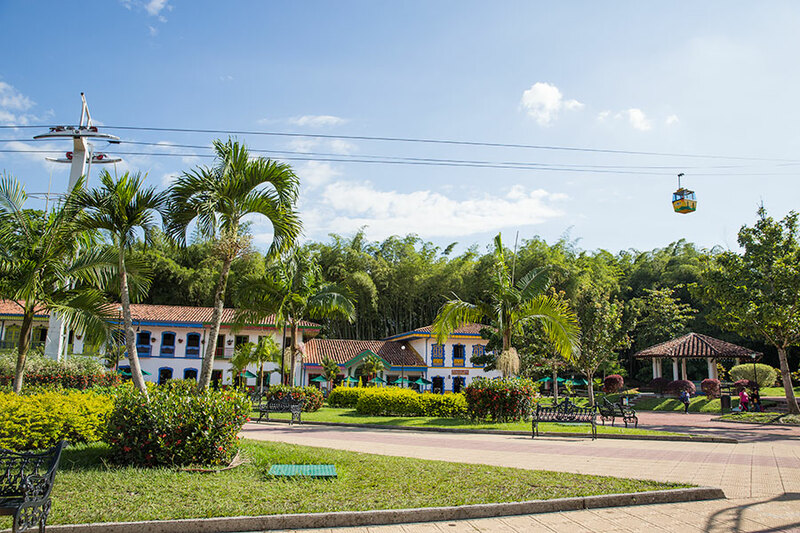 I would recommend the National Coffee Park to anyone who finds them self in the coffee districts of Colombia and wants to learn about Colombian coffee while having a bit of fun. If you speak Spanish you can read about it on their official website, if not, there’s always Trip Advisor.